Archbishop Thomas Wenski, who will join Pope Francis in Cuba, releases a dove in downtown Miami as part of an appeal to stop deportations of undocumented immigrants. 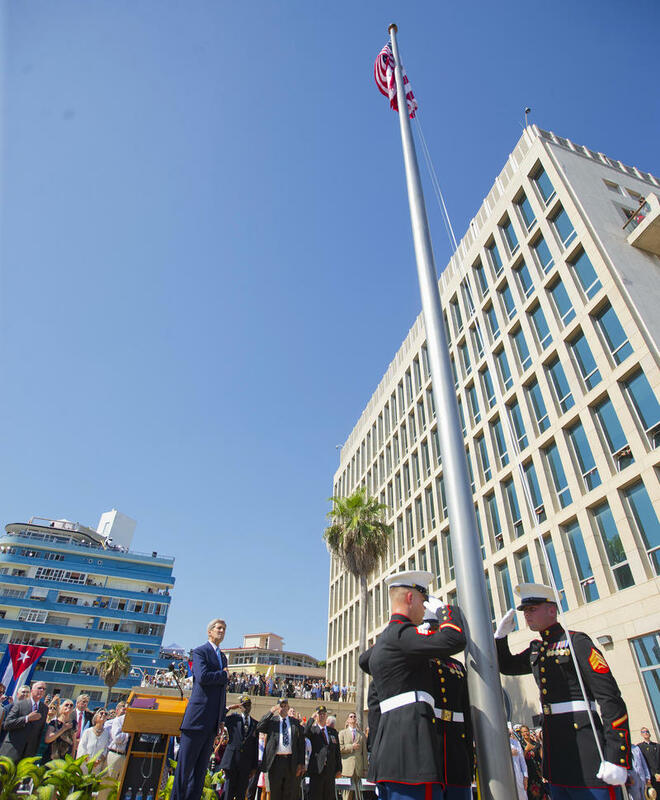 Secretary of State John Kerry presided over a ceremony reopening the U.S. Embassy in Havana, including a flag-raising ceremony — an event that will mark the first time the Stars and Stripes have flown over a diplomatic compound there in 54 years. 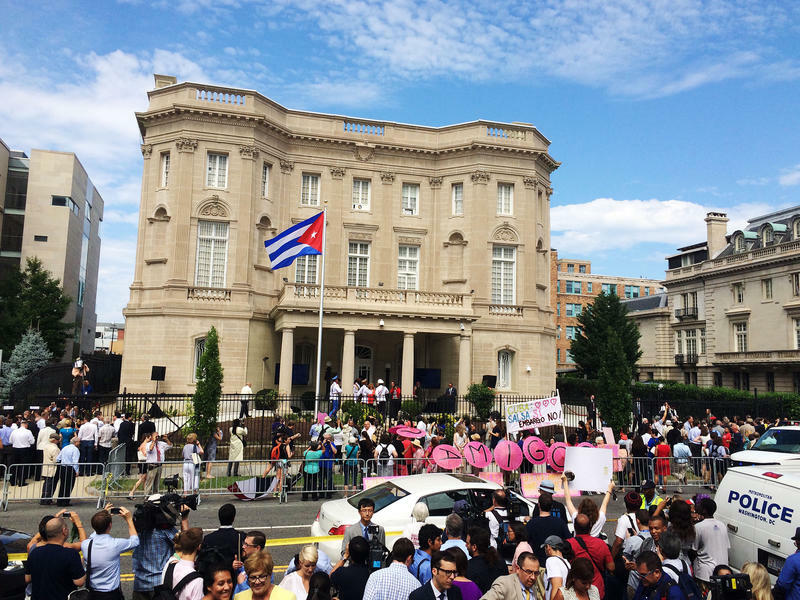 Kerry, speaking before assembled dignitaries, remembered the strained history of U.S.-Cuba relations, including the 1962 Cuban Missile Crisis, when the Soviet Union was discovered to be siting nuclear rockets on the island nation. 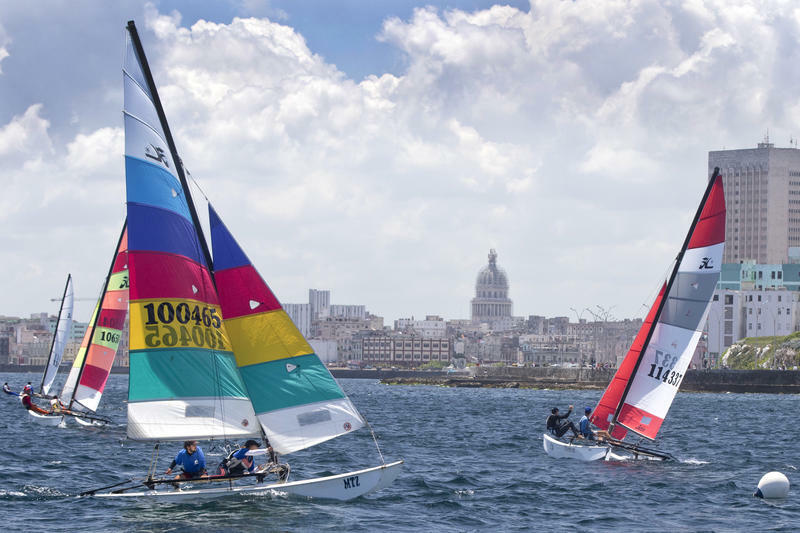 In May, five 16-foot Hobie Cat sailboats left Key West for the inaugural Havana Challenge sailing race to Cuba. "Three of them were broken, one sank and one was ripped into pieces," said Joe Weatherby, one of the race organizers. The three "broken" boats were patched up enough to limp into Havana Harbor -- 10 hours after leaving Key West.